I am more than ready for spring. but the glimpse of warmer weather, the birds chirping and the longer days are a welcome change from the doom and gloom of winter. 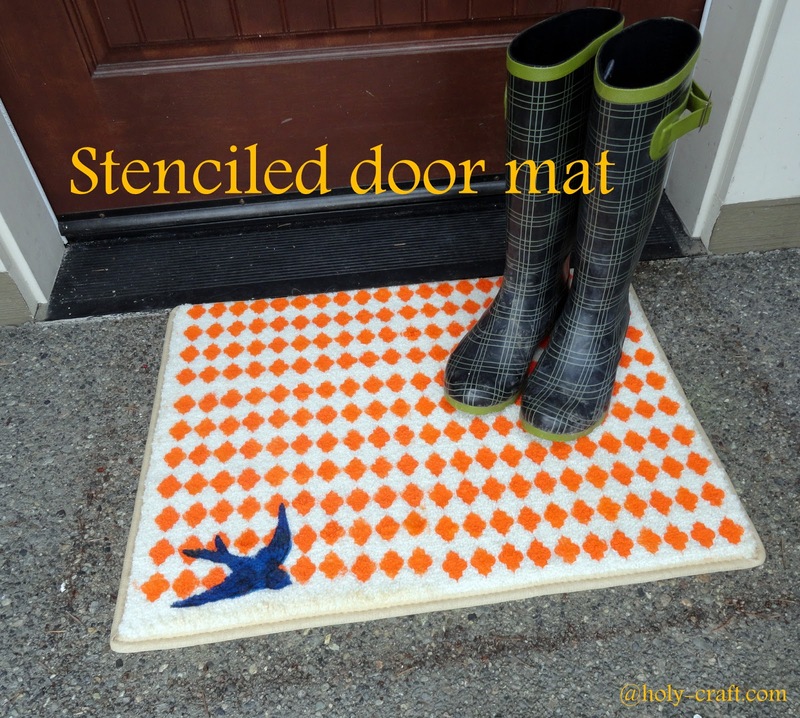 this time I did it with a stenciled door mat update. It's super easy and will cost you next to nothing! 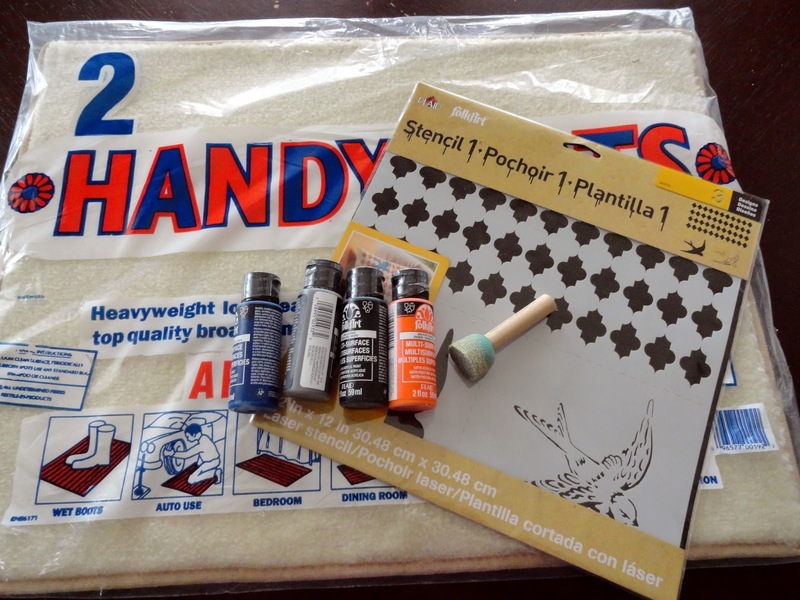 My project cost me $2.50 but only because I was lucky enough to receive the amazing Ed Roth stencil 1 and FolkArt paints to create my project. Having the right paint is important in this project. and it's perfect for indoor or outdoor applications. 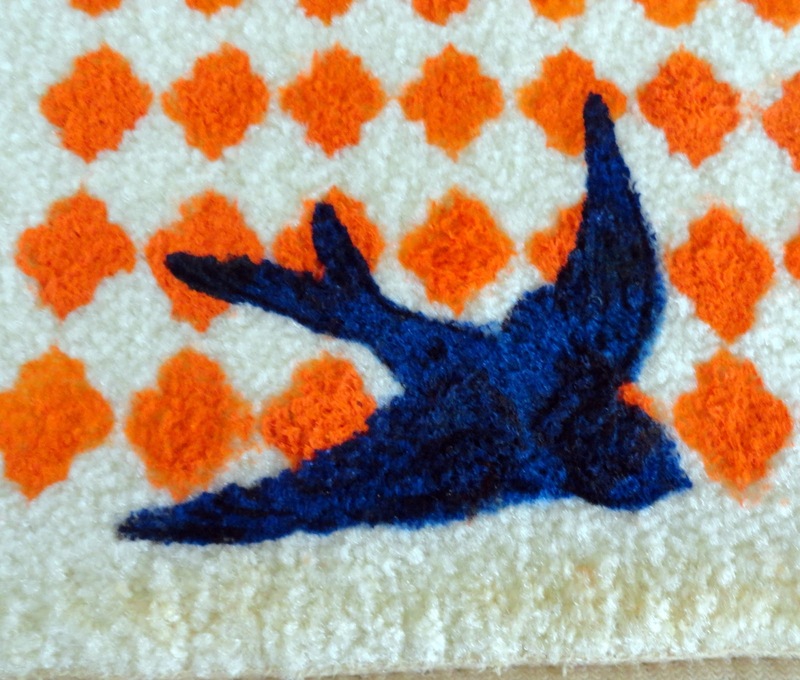 I started by placing my stencil in the upper left corner of my mat. You can use spray adhesive to help it adhere better if you would like. I used my brush to "pounce" paint onto my stencil. 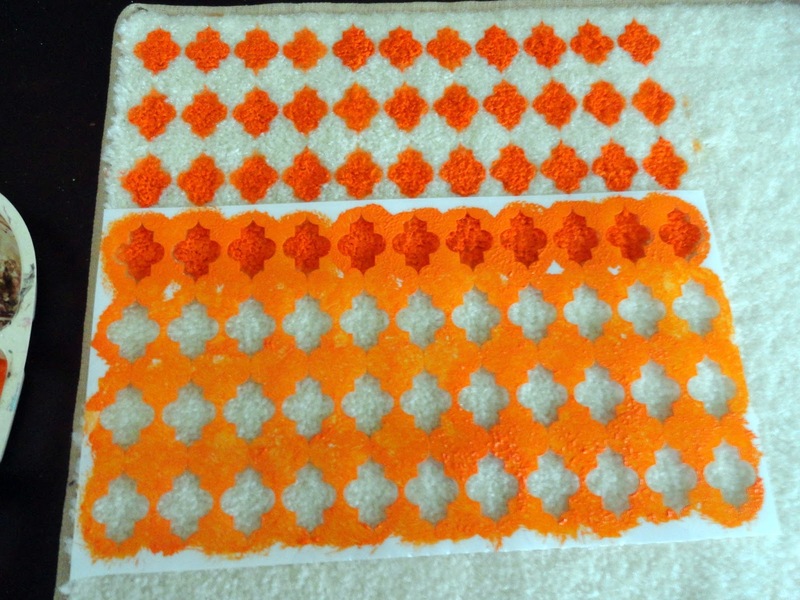 especially on a rug since you want to really get the paint on the fibers but not smear it. 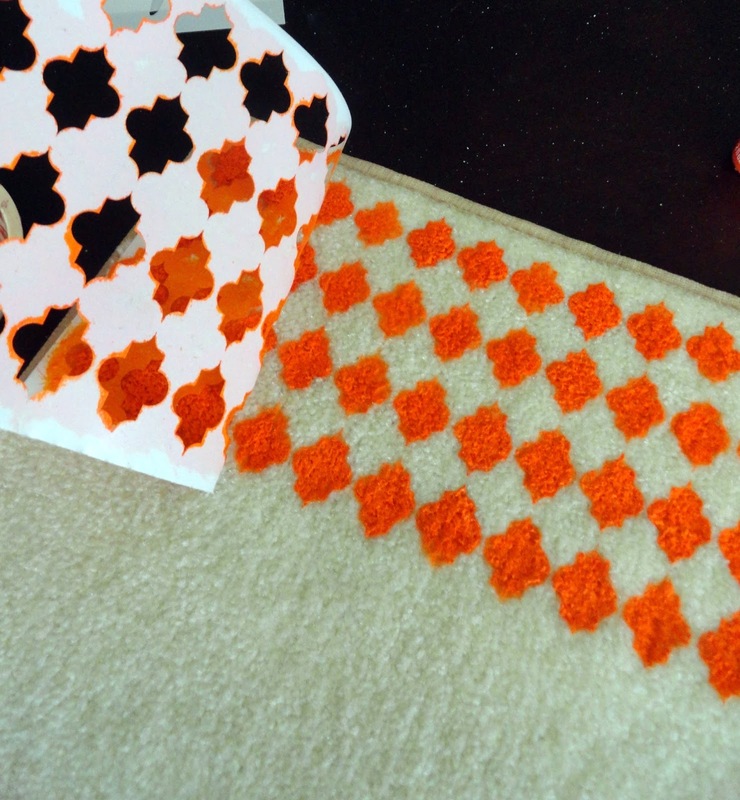 Once you have your stencil painted in, carefully peel it back. 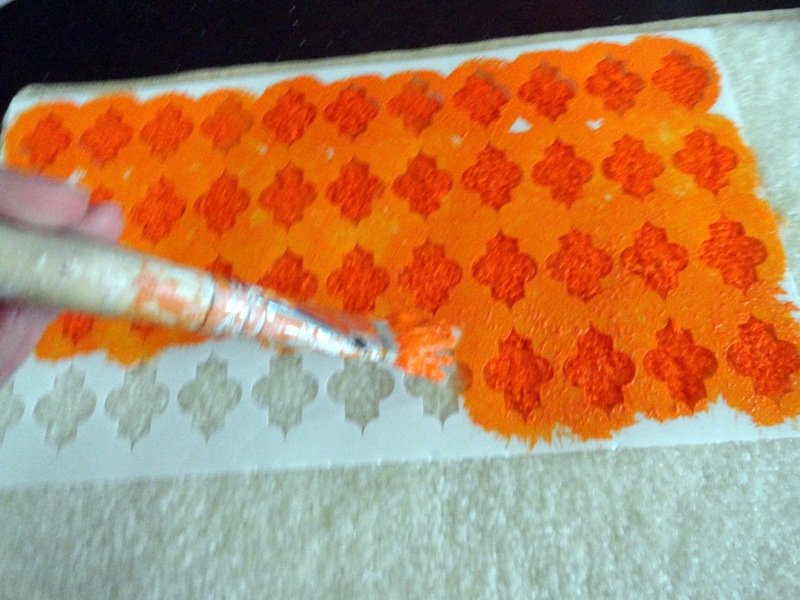 I used the first row of my stencil and lined it up with the final row of my completed stenciled row. This will give you the proper spacing for your stencil. 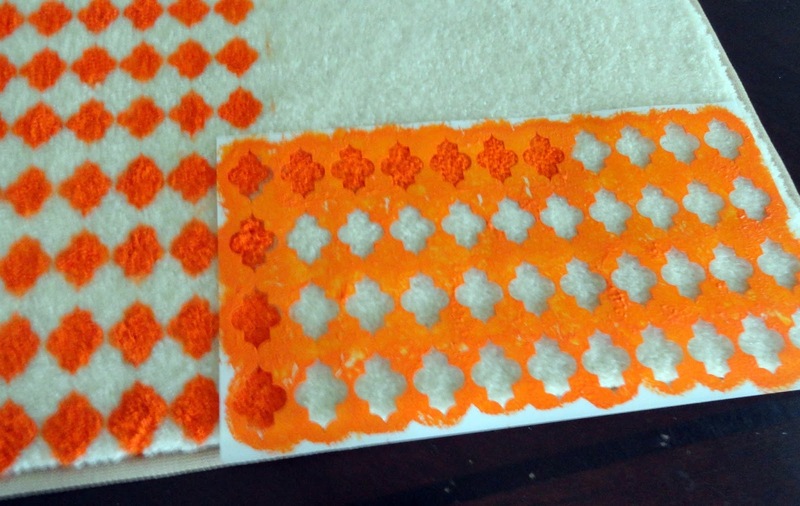 use the far edge of your stenciled row as a guide. Again, this will help you keep the proper spacing. I love the bird and the overlay of the small detail for the bird. 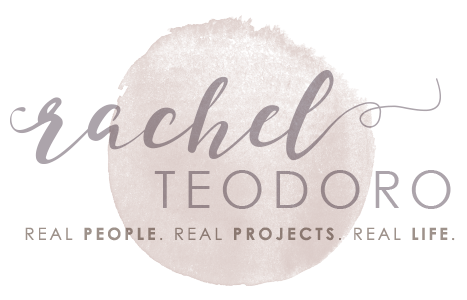 It made me feel like a real artist and gave my project a lot more depth. You will start by using the bird stencil and "pounce" your paint and brush over it. 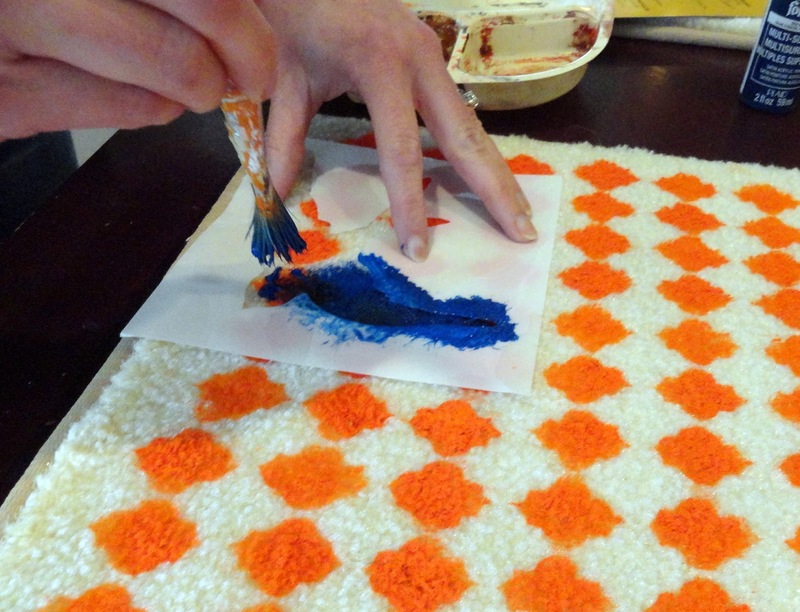 Remove your stencil and let your paint dry. How cool is this detail?! I think this is what sets Ed Roth FolkArt stencils apart from other stencils I have used in the past. The depth and detail that you can get from the design is so much more than just stopping with the bird. 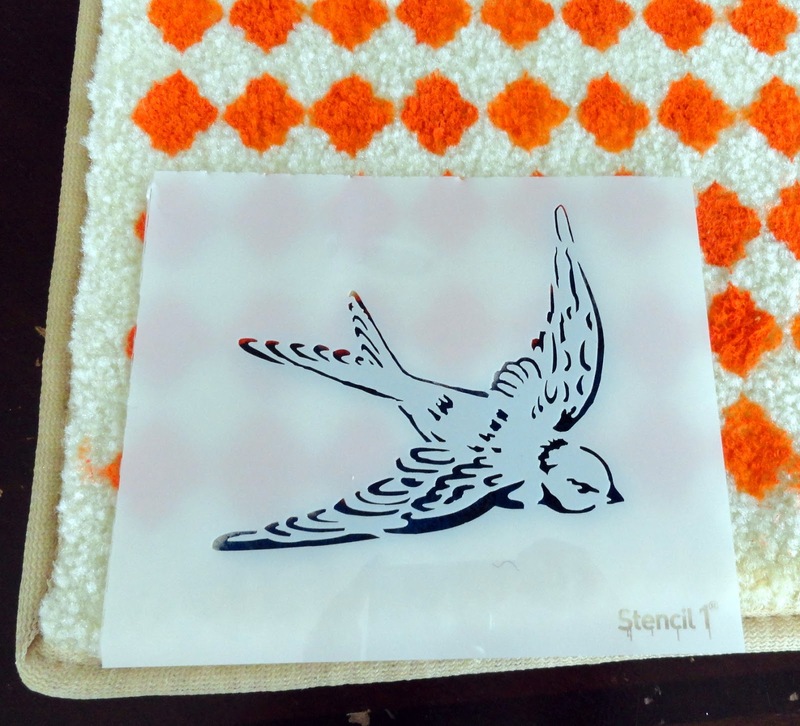 Take your detailed stencil, place it over your dry bird and use your brush to paint on some amazing artist details! but how cool is that?! 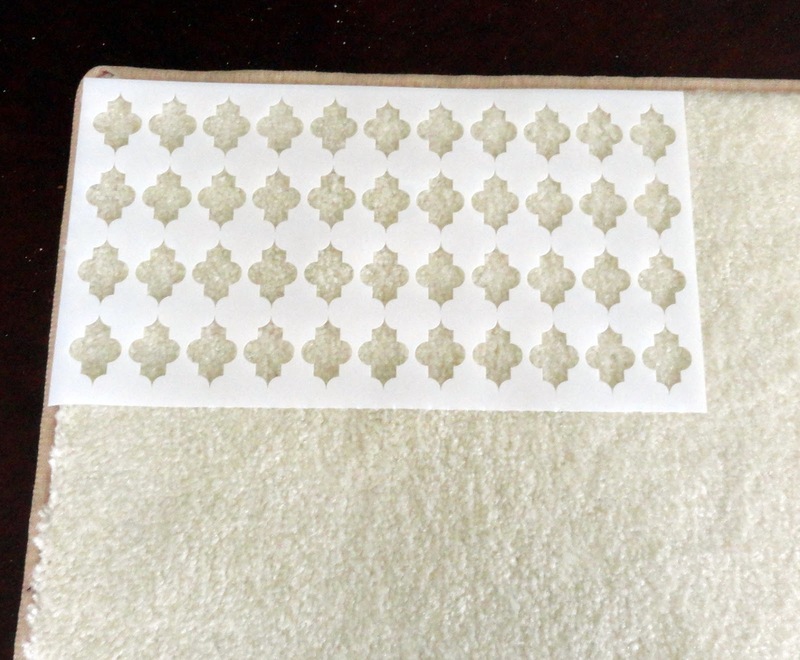 I love my new stenciled rug. 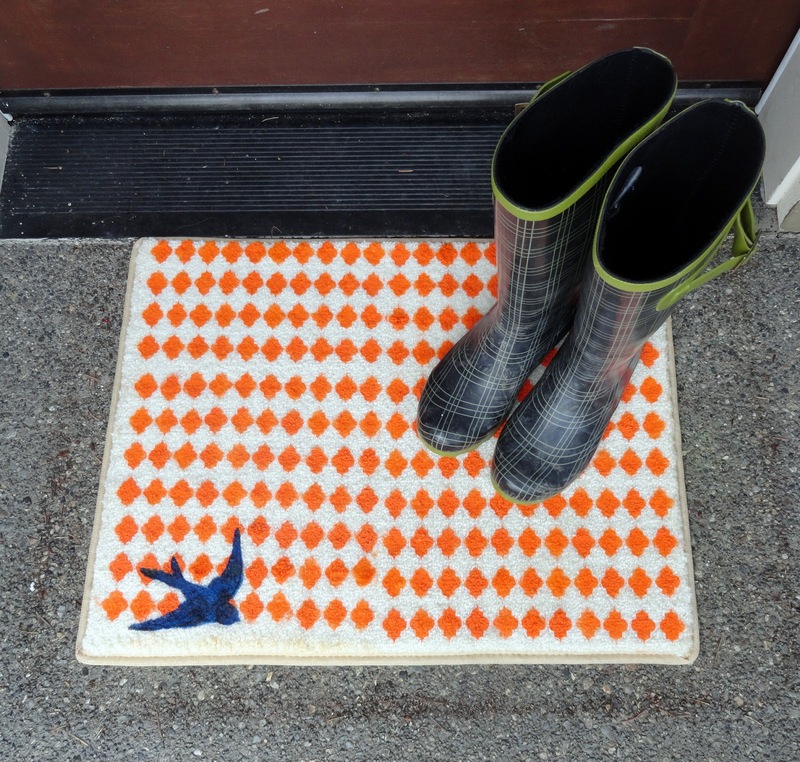 It's the perfect place to let my rain boots dry off while we wait for those May flowers! disclosure: this is a sponsored post but all opinions are 100% my own. I promise I wouldn't share a product that I didn't love and recommend. 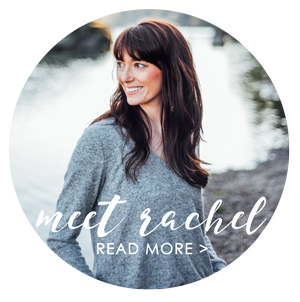 Fill up your closet for next to nothing!